How the Switch gear panel are installed in a substation. Making every individual and precise effort towards the demand fulfillment of our customer end, we have been immensely betrothed in offering with a classified series of Molded Switchgear Back Panel. Manufacturer of Switchgear Isolator, Dis connector, Control & Relay Panel, Junction Box, Push Button Station abd all Mechanical Products. 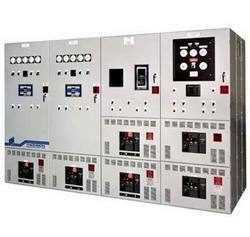 Based in Uttar Pradesh, we are engaged in manufacturing, exporting and supplying Switchgear Control Panel to the customers. 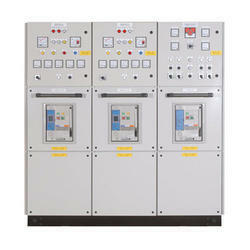 Our Switchgear Control Panel is the most reliable product in the range of other competitive products in the market. We offer Vacuum Circuit Breaker Trolley. Our organization provides 11 KV VCB Trolley, which is easy to install and durable. These trolleys are widely used in electric and power supply industry. We also offer these trolleys to the clients in different specifications. Our clients can avail these trolleys from us at industry leading price.